All orders require 48 hours lead time. Antoine's Bakery cannot guarantee shipment if incorrect or incomplete information is provided, including but not limited to recipient's name, phone number, address, etc. It is the customer's responsibility to provide and ensure the correct address is supplied (whether the order is placed online, in-person, or via phone). Please do NOT enter a Post Office Box for an address as our carriers will not deliver. We will refund your order without shipment. We, nor our carriers (UPS and FedEX) are responsible for any delay or failure in delivery due to adverse weather conditions, including but not limited to; snow storms, natural disasters etc. Prices (of both King Cakes & shipping fees) are subject to change without notice. 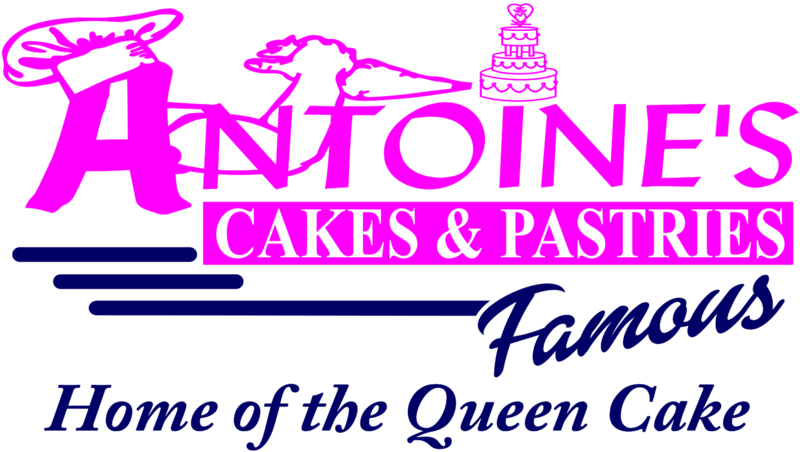 If we, Antoine's Bakery, are at fault for your undelivered King Cake(s) we will refund or resend on the next available date. Shipping time ends at 2 pm daily. Shipping for the weekends every Wednesday. If an order is placed after shipping cut off then that order will be fulfilled and shipped on the following Monday (holidays excluded).